Five games that put in player in the role of a guerrilla solider fighting for freedom and liberty. Homefront: The Revolution is set to be released on May 17 and will have gamers once again fighting to liberate America from North Korean occupation. Unlike its predecessor, players will actually wage a guerilla war against a superior army. One person going against an entire army is not new in gaming, but it’s a different experience when players have a sense of being vulnerable. 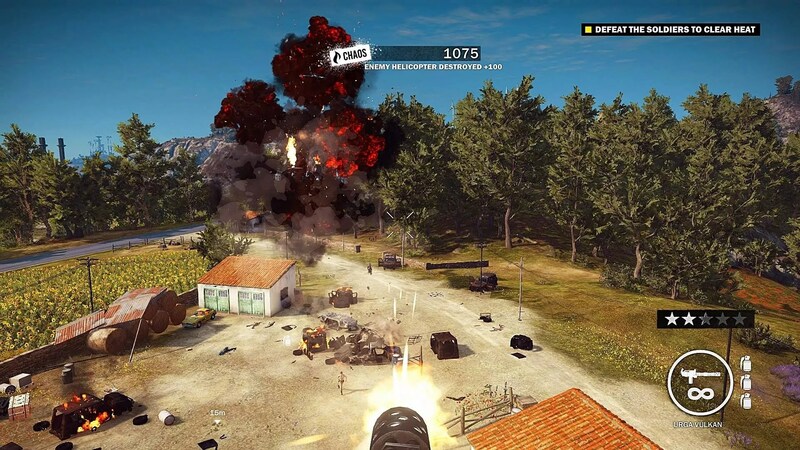 Titles that have made guerrilla warfare part of the gameplay have focused on crippling the enemy, along with boosting the morality of the population. For those who can’t wait to join the resistance, here are five games that best recreate the experiences of fighting in a guerrilla army. Note: this list focuses on titles that not only require players to fight a large enemy army but also cripple their efforts, work with a small team while waging a propaganda war to win the hearts and minds of the population. Hence, simple shooters like the original Homefront will be excluded. This 2003 classic not only set the tone for other guerrilla themed video games, but also introduced Red Dawn to a new generation. Freedom Fighters is set in an alternative timeline were the Soviet Union becomes the world power after it won World War II by dropping the atomic bomb on Berlin. In the present day, the Red Army begins an invasion of America by conquering major cities. Players take on the role of Chris Stone as he works with Isabella Angelina and Mr. Jones to build a resistance army and liberate New York City. Players must capture key locations and disrepute the occupation as much as possible. At the same time, they must boost the morale of the resistance so that more members are encouraged to join the fight. While previous games in the series have focused on Rico Rodriguez being tasked with toppling dictators, this time he is on a personal mission. Rodriguez returns to his homeland of Medici and reunites with his childhood friend to overthrow the dictatorship of General Sebastiano Di Ravello. Anyone who played Just Cause 2 will feel right at home while expecting a few major changes. One of those changes is the guerrilla warfare gameplay and setup. Just Cause 3 has players once again using their grappling hook and parachute combo to wreak havoc on the enemy. Besides completing story objectives, Rodriguez must capture military outposts, acquire better weapons for the resistance, and turn the population against Di Ravello government. The fourth game in the series was heavily inspired by the Nepalese Civil War, a 10-year conflict that was fought between Maoist intransigents against the Royalist government and ended with the monarchy being abolished. 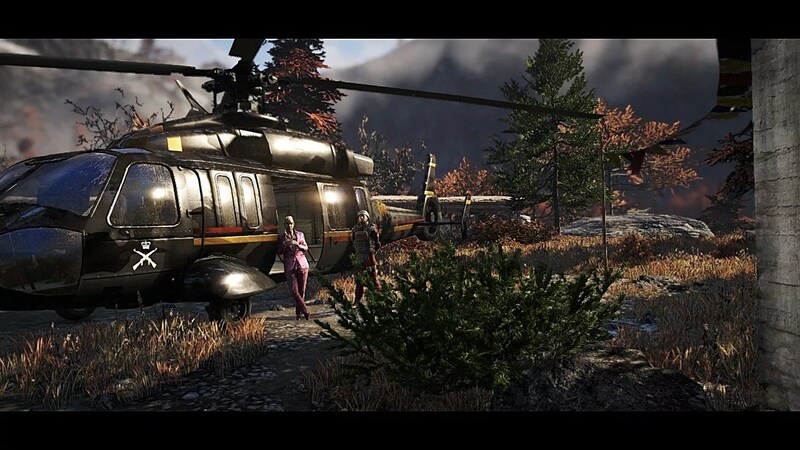 The story follows Ajay Ghale as he returns to Kyrat to spread his mother’s ashes. The moment he crosses the border, the bus is attacked by the military and he becomes the prisoner of Pagan Min, the nation’s despotic king. He is taken to the Royal Palace, but escapes and joins the Golden Path in their war against the government. Players must work with the Golden Path to capture key outposts and military facilities. At the same time, they need to boost the morale of the resistance by acquiring resources, rescuing prisoners and disrupting the propaganda. Ghale is also forced to make choices that will determine the future of what the Golden Path represents. 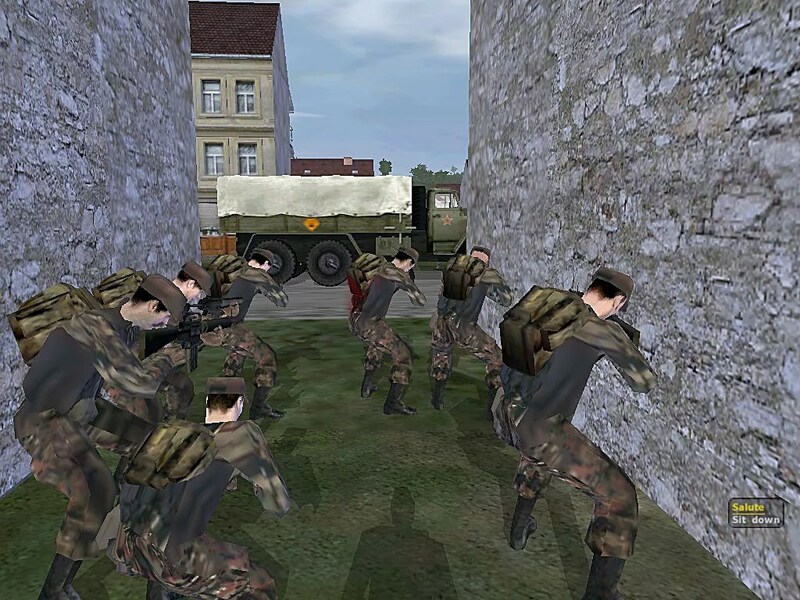 Both an expansion and prequel to Operation Flashpoint: Cold War Crisis (also known as ArmA: Cold War Crisis), this tactical shooter improved on the original game in every way while introducing a unique experience that was inspired by the Warsaw Pact invasion of Czechoslovakia. The story is set a few years before the war in Everon while the player takes on the role of Victor Troska, an ex-SAS operative, who has returned to his homeland of Nogova. However his peaceful life is shattered when the island is invaded by the Soviet Union at the request of the countries Communist Party. At first he wants no part in the war but when the conflict comes knocking at his door, he is forced to take up arms for his country. With limited resources and an inexperienced army, Troska must wage an unconventional war against the Red Army. Players must command a small squad to cripple the occupying forces while acquiring resources for the resistance. At the same time players must also work with US Special Forces who have been dispatched to help the resistance. 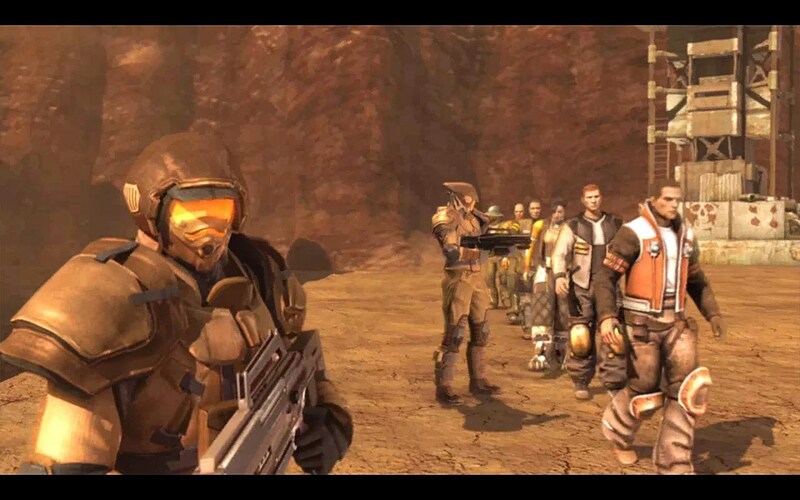 The third game in the Red Faction series returns players to Mars while taking the Geo-Mod technology of the previous games and incorporating it into an open world environment. The result is an unforgettable gaming experience and one of the best titles that puts players in the role of a guerrilla fighter. Following the liberation of Mars in the first game, the Earth Defense Force (EDF) has established a new government that is oppressing the population. 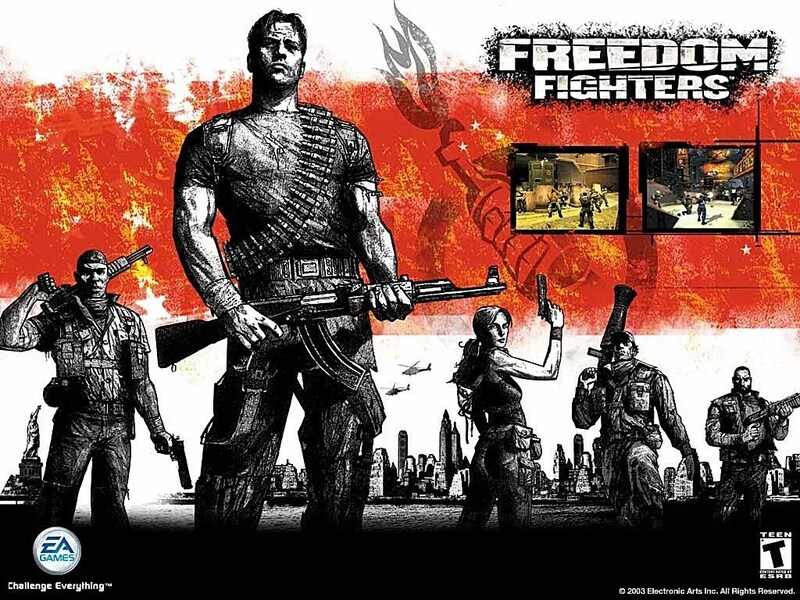 Players take on the role Alec Mason, who is forced to join the Red Faction when the EDF murdered his brother and labeled him as a terrorist. Players are tasked with liberating all five sections of Mars by completing a series of key missions while waging a guerilla war against the EDF. At the same time players must demoralize the enemy while boosting the confidence of the resistance. Freedom Fighters may have established the foundations for the genre but it was Red Faction: Guerrilla that perfected it. Have you played any of these guerrilla themed games or was there a title that was missed? Share your thoughts in the comment section below. Excellent list, not many games focus on guerrilla warfare but the few that do are always rich in gameplay.